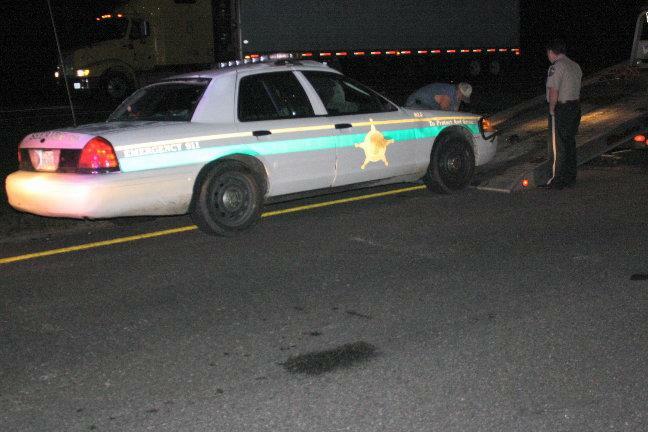 1 Deputy Hospitalized, 3 Horses Dead, 2 Totaled Vehicles, NEW WILLARD, November 3, 2009 - Shortly before 9 pm on November 3, 2009, Polk County Sheriff's Deputy, Billy Duke was on duty and south-bound on US-59 about 5 miles north of Livingston. 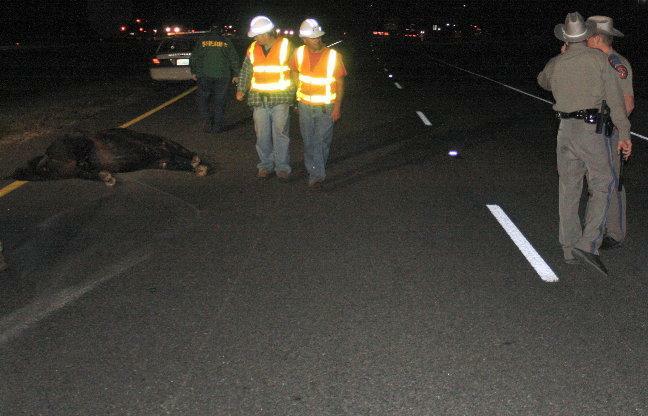 Duke was in the left lane when he suddenly came upon horses standing in the middle of the highway. Duke alertly turned on his hazard lights to warn oncoming traffic of the hazard. His vehicle slammed into a female horse. 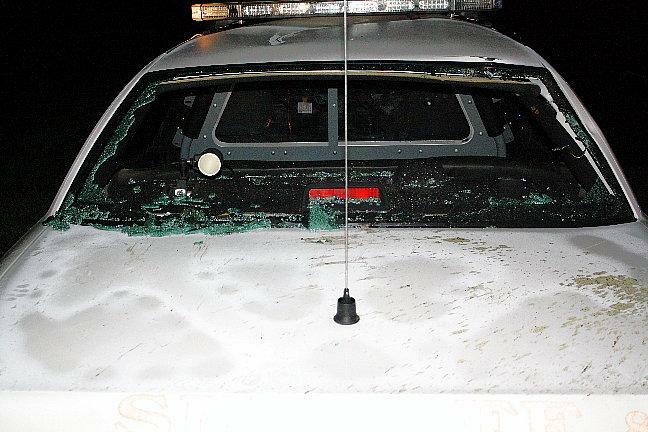 The horse fell into Duke's windshield on the driver's side, caving in the windshield and totaling the patrol unit. Coming up behind Duke in the right lane was a blue 2001 Chevy Tahoe driven by Sue Baack, 54 of Houston. Baack's vehicle clipped the leg of another horse and the slammed head-on into a third horse totaling her vehicle. Duke radioed for help. Americare Ambulance Service was dispatched to the scene along with a surplus of Sheriff's Deputies and DPS Troopers David Flowers and Ramey Bass. Duke was treated for non-life-threatening injuries and transported to Livingston Memorial Hospital. Baack was physically okay. Both lanes of traffic on 59 south were blocked during investigation and cleanup. The owner of the horses brought out a truck and trailer to pick up his horses. 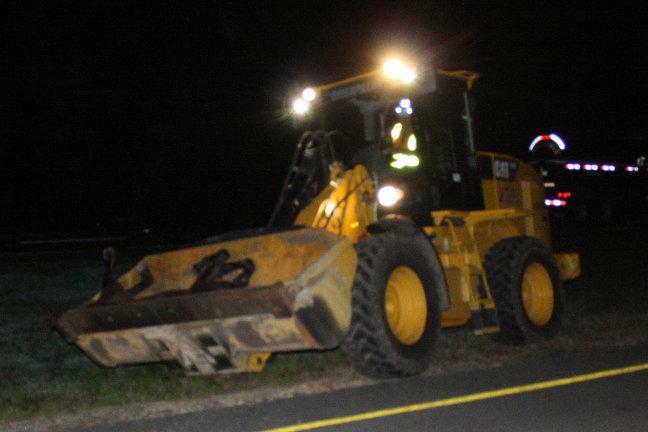 A front end loader was from the Texas Department of Transportation arrived to scoop up the horses and load them onto the trailer. 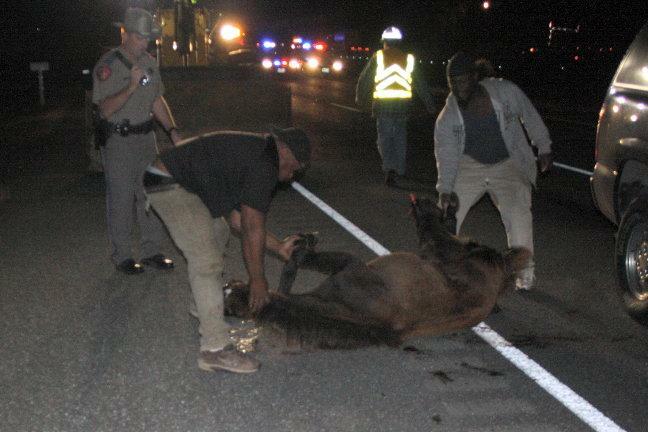 One of the horses was killed on impact, the other two had severe injuries and each had a broken leg. The owners took the horses home. Moments later, the 2 gunshots were heard in the distance and the two badly injured horses were put down. As far as citations for negligence, or if anyone is at fault remains under investigation. A rollback wrecker from Ken's Towing recovered Duke's vehicle and it will be stored at Harrison's Body Shop in Livingston, while another rollback wrecker from Smith Towing out of Cleveland recovered Baack's vehicle. The scene was cleared and traffic fully flowing by 10:30 pm. WARNING: Some of the images below show dead or wounded horses. 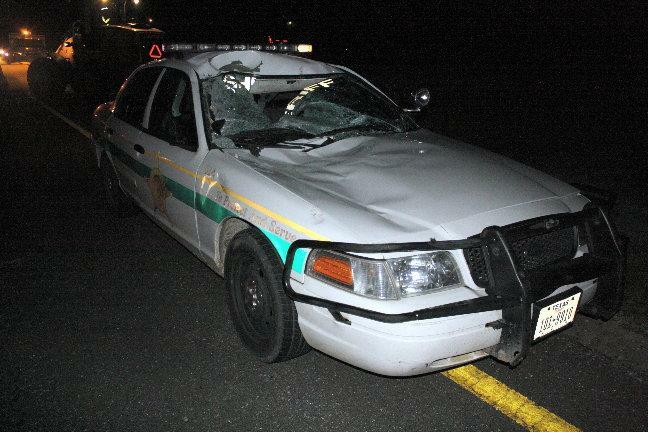 When Deputy Billy Duke's vehicle hit the first horse, the animal slammed down into Duke's windshiled. 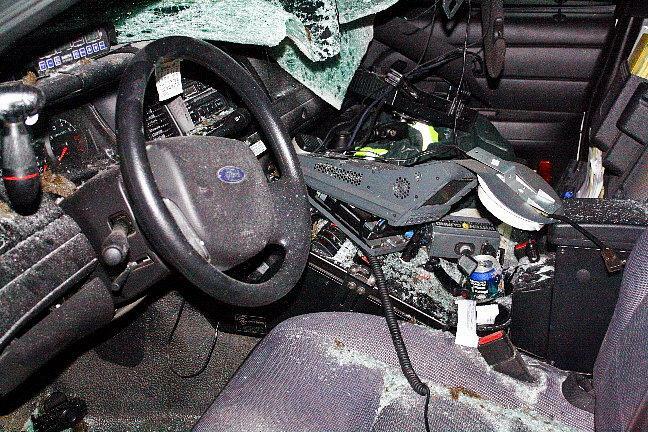 Shattered glass coats the front interior of Deputy Duke's Ford Crown Victoria. The impact even blew out Duke's rear windshield. 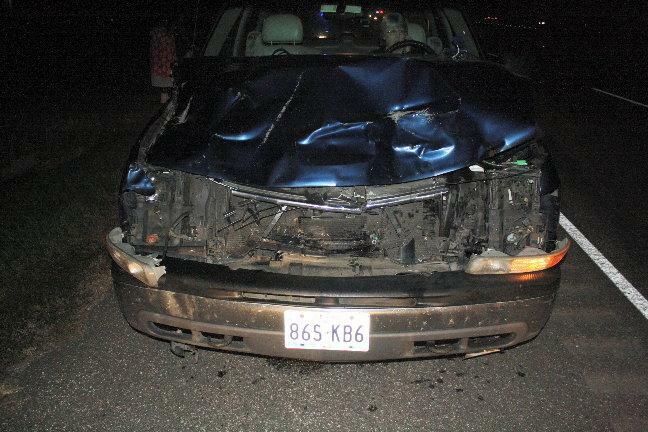 Sue Baack's 2001 Chevy Tahoe was totaled after striking a horse head on, Baack (in driver's seat) was physically okay. ...and loaded them into a trailer belonging to the owner of the horses. 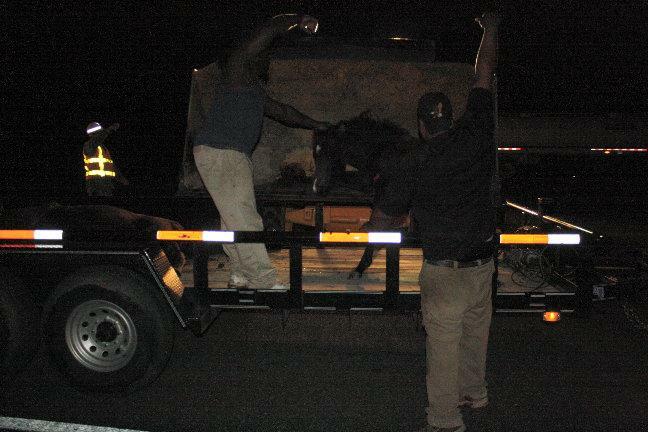 The horseowners try to prepare the animal to be loaded into a font end loader from TDOT. The heavily damaged patrol unit was loaded onto a rollback wrecker form Ken's Towing. 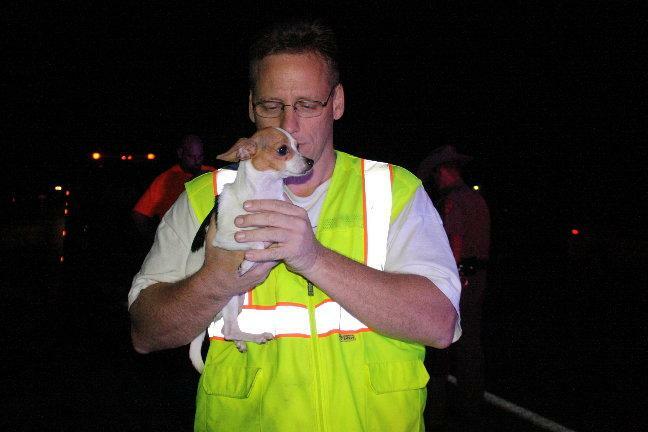 Sue Baack moved her belongings from one vehicle to another while PCT Editor Willie Openshaw holds her dog "Bella".